Of course every day is a new opportunity to be truly happy, so today is the perfect day for this simple quote... 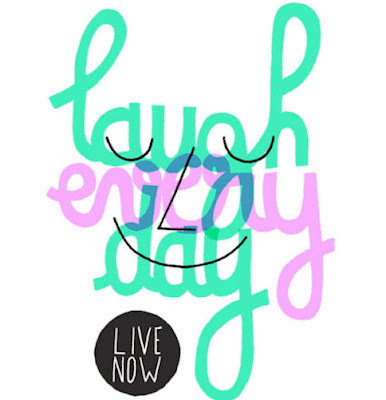 Laugh at everything and enjoy every moment from the tiniest, simplest to the most exceptional. And have a happy life philosophy, as the good old Boylan Sisters used to sing... "You're never fully dressed without a smile..."